Power distribution board can be manufactured from mild steel or stainless steel and can be wall or pole mounted, powder coated any RAL colour. 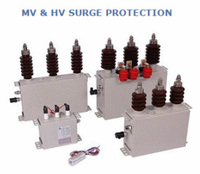 All surge and lightning protection offered by Northern Technologies is manufactured to the highest possible standards and comply with IEC, VDE, OVE, UL and ISO 9000. This company supplies Products & Services in the Communications, Electrical, Instrumentation & Control industries.